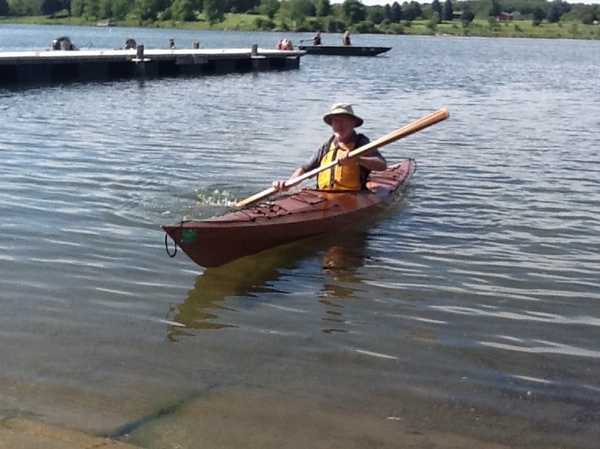 I have always like things that float on the water. 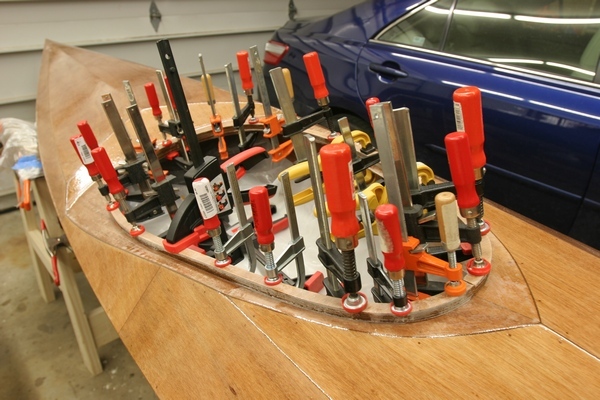 I also like woodworking. 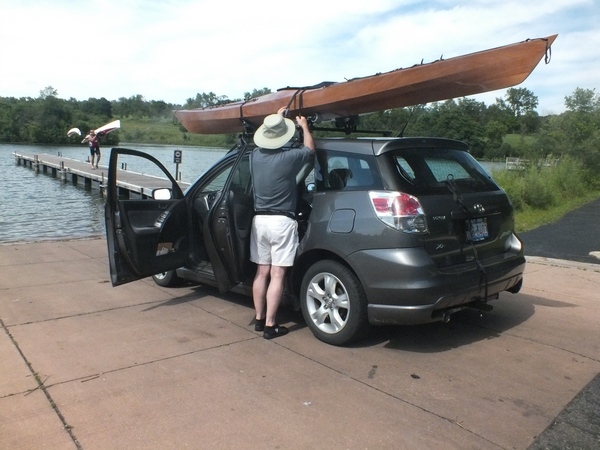 I decided the two go together well. 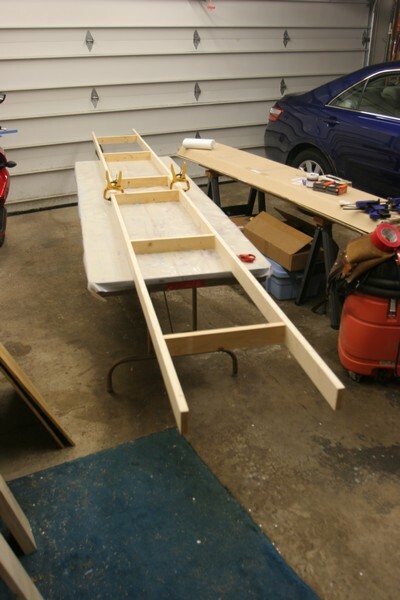 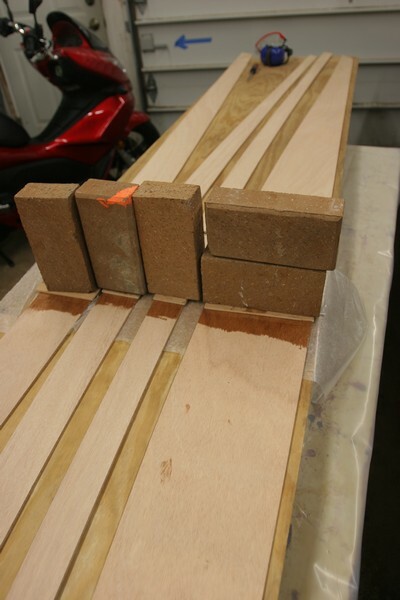 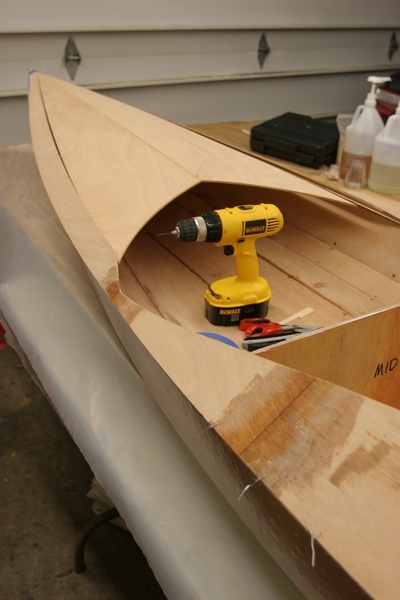 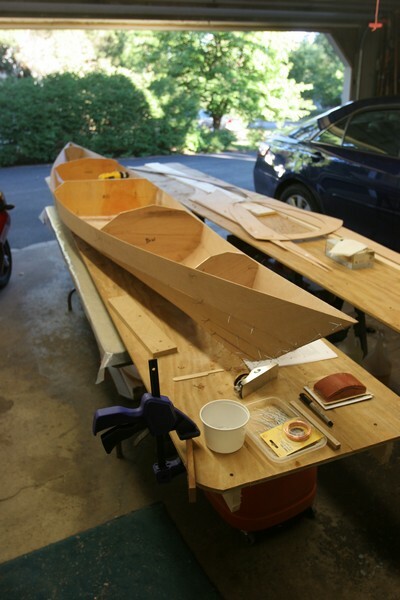 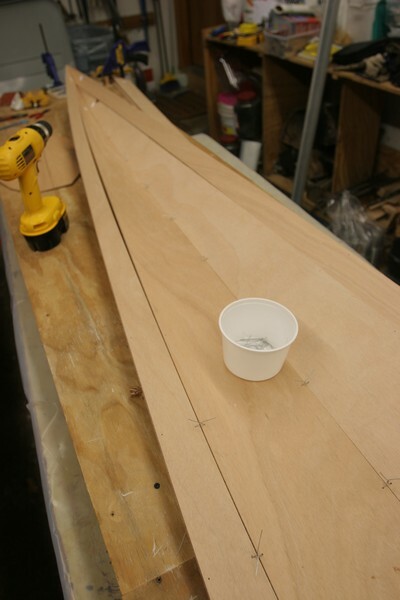 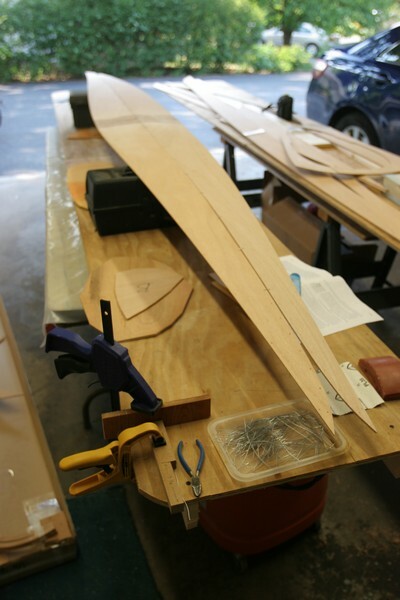 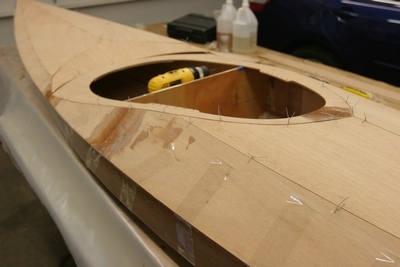 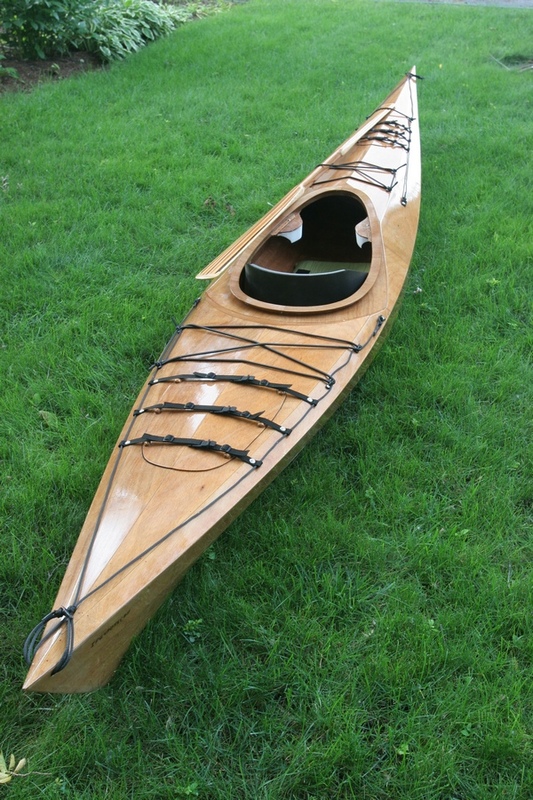 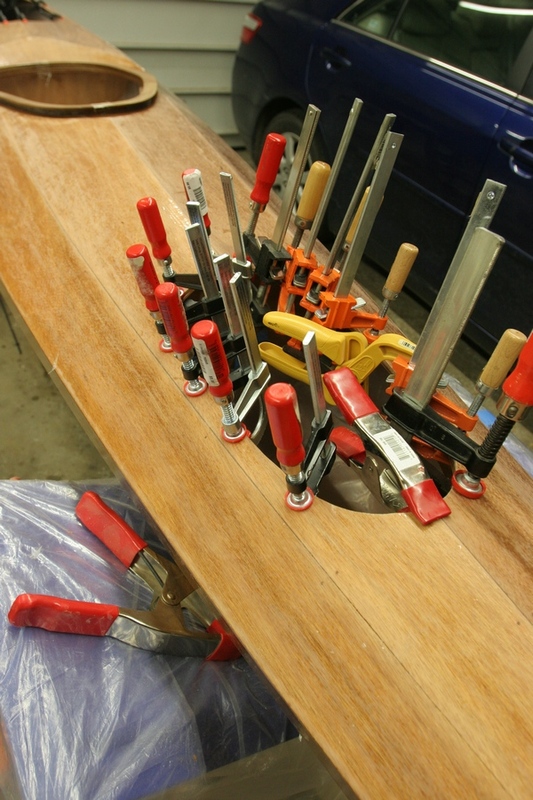 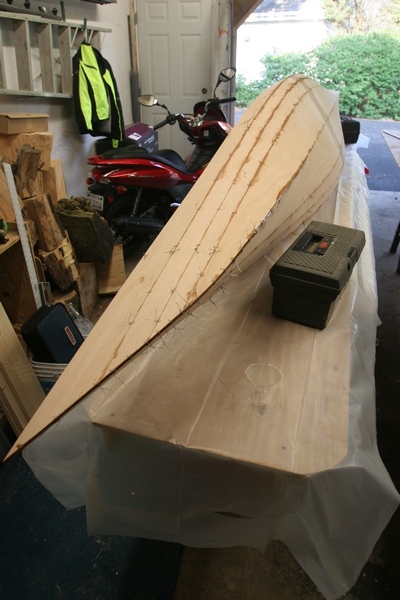 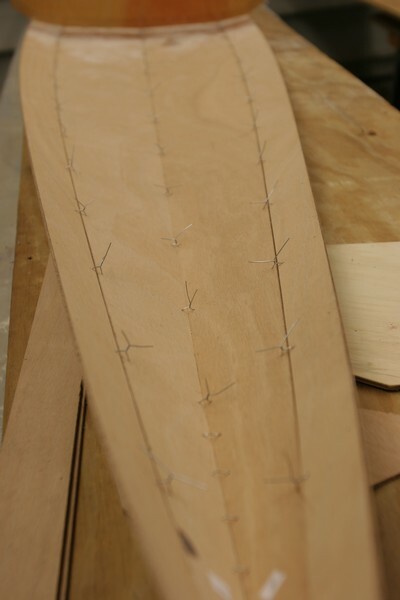 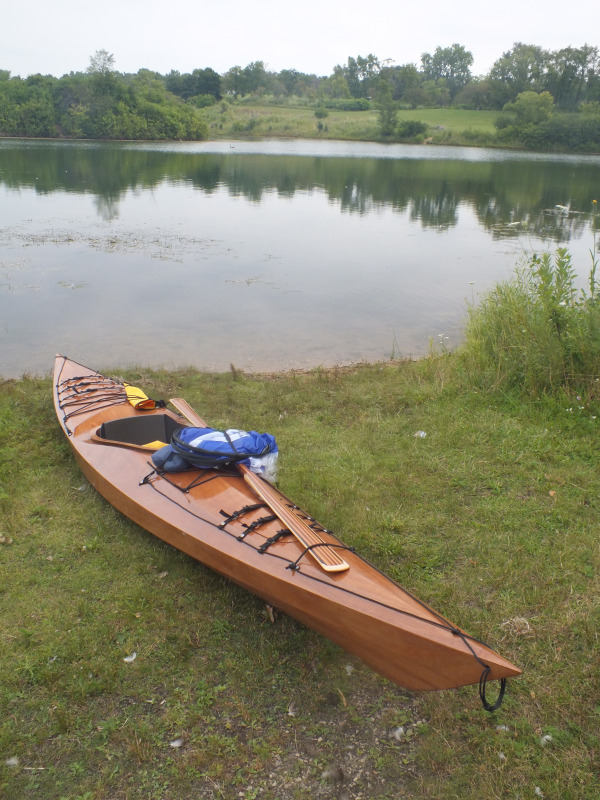 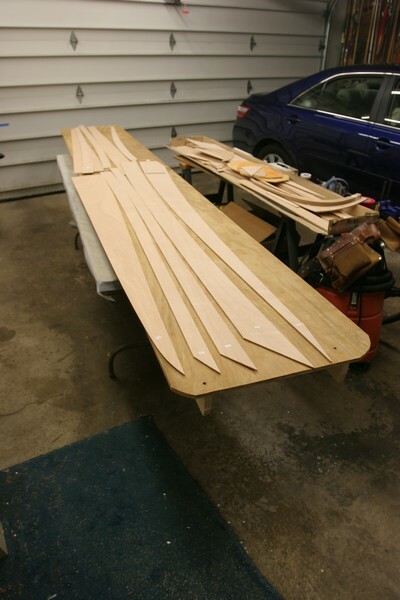 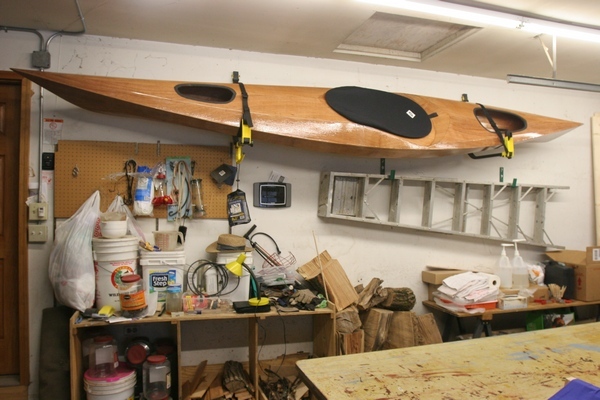 I have started, as of August (2013), a "Stitch & Glue" construction Kayak. 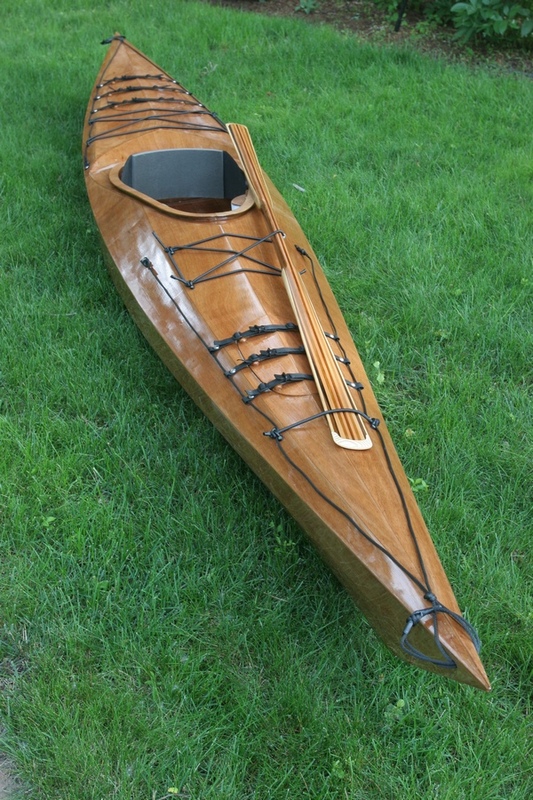 it is a kit, the Penguino 145 4pd, from PygmyBoats.com. 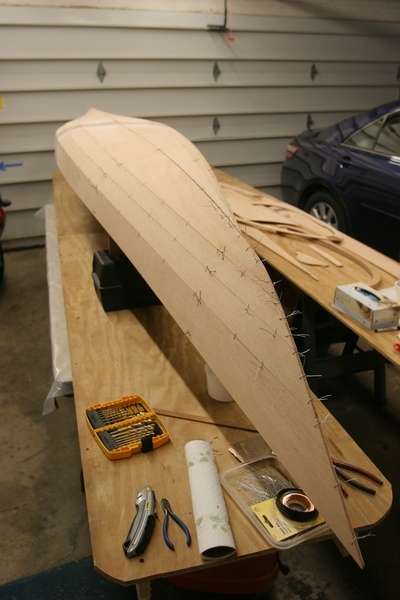 14' 6" length, 25"beam, about 36 lbs. 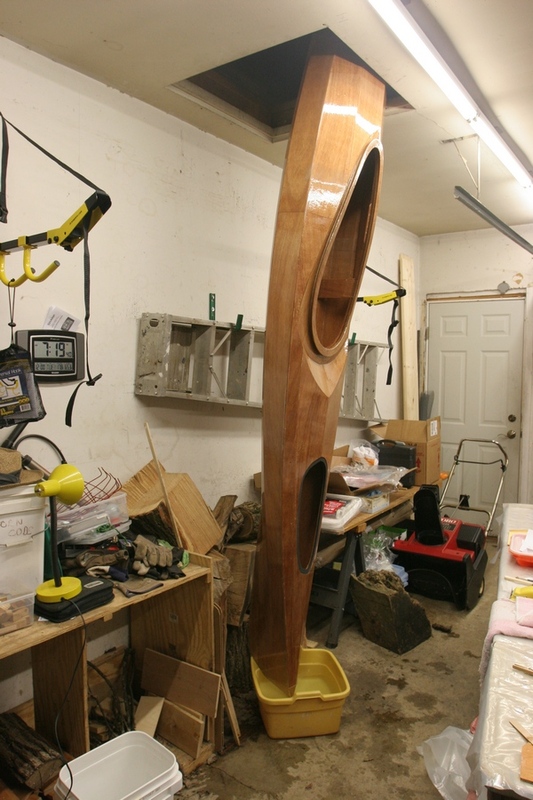 when completed. 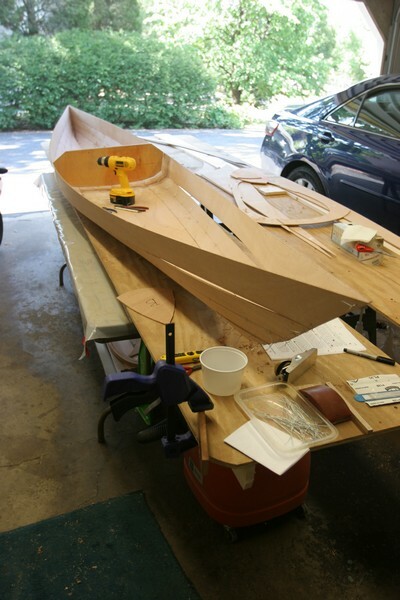 it is made of marine plywood, coated with fiberglass and epoxy, inside & out, there is no exposed wood. 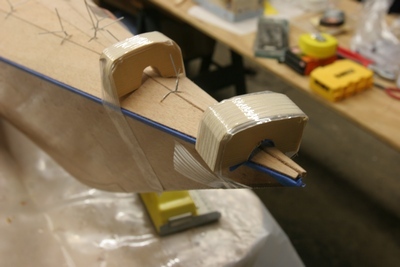 Cockpit lower coaming being installed, not enough clamps?? 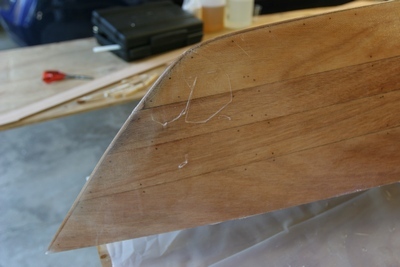 It's November, colder, not good for epoxy application. 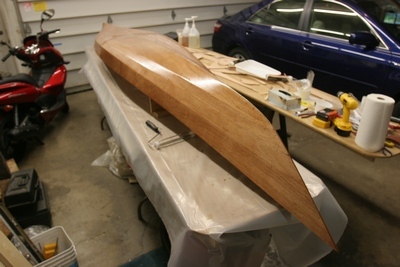 Kayak mostly done, it's -12 degrees F. today. 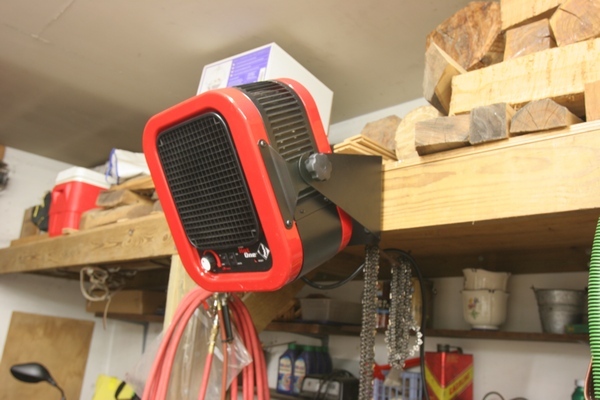 garage is too cold. 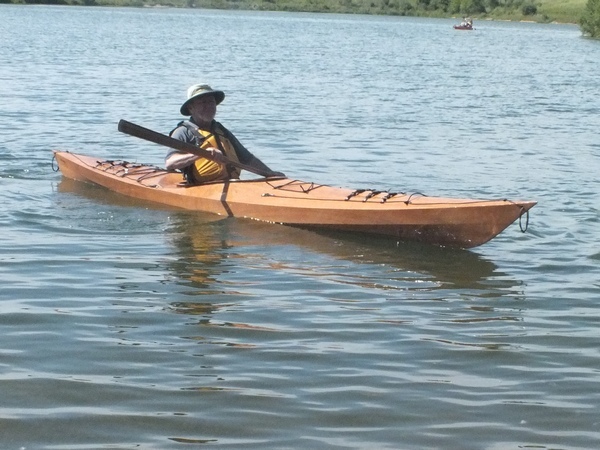 and back rest, Then go Paddle!! 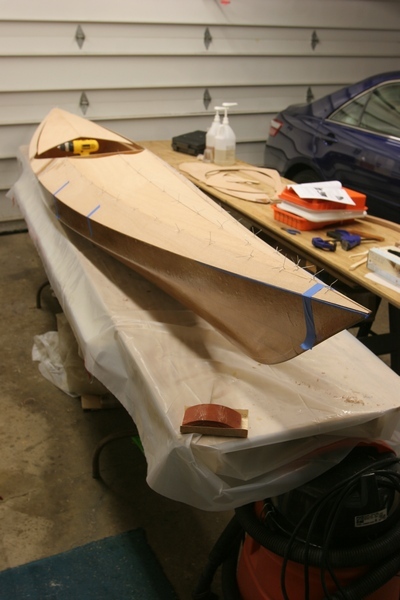 waiting and anxious to see water, Greenland style paddle, perimeter lines installed, hatch hold downs done, & deck rigging done.